Fresh off the Ervin Santana trade, the Royals opted to continue shaking up the 40-man roster. The team made a pair of waiver claims: RHP Guillermo Moscoso from the Rockies and catcher Brett Hayes from the Marlins. In order to make room on the 40-man, RHP Blake Wood was claimed off waivers by the Indians while OF Jason Bourgeois, LHP Tommy Hottovy, and RHP Jeremy Jeffress were each designated for assignment. Guillermo Moscoso (age 29, 11-12, 4.16 ERA, 6.3 K/9, 3.0 BB/9, 1.303 WHIP, 1.8 WAR in parts of 4 seasons) is somewhat of a journeyman. Originally signed out of Venezuela by the Tigers in 2001, then shipped to the Rangers in 2009 where he made his big league debut. Texas then sent him to Oakland in 2011 where he put together a solid season (21 starts: 8-10, 3.38 ERA, 5.2 K/9, 2.7 BB/9, 1.094 WHIP, 1.6 WAR). The A’s then dealt him to the Rockies last winter where he floundered in the thin Denver air (23 games, 3 starts: 3-2, 6.12 ERA) before being demoted to the Rockies’ Triple-A affiliate. 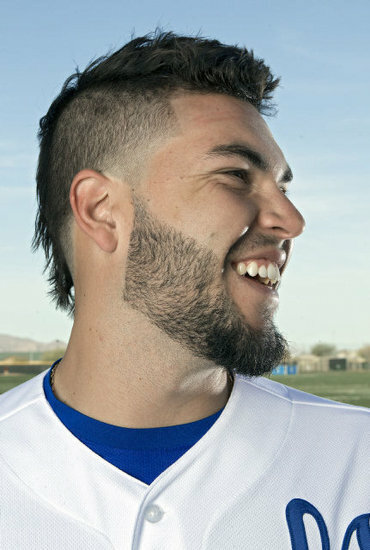 Moscoso, who could fill the role of either a starter or long-reliever/spot-starter, represents another fly-ball pitcher who got torched by the long ball in Colorado who the Royals believe will have better luck in a more pitcher-friendly park (which they’ve done twice: Felipe Paulino and Jeremy Guthrie). Moscoso adds competition for both the rotation and bullpen. Brett Hayes (age 28, .217/.266/.361, 8 HR, 27 RBI, .992 Fld%, 26% caught stealing in parts of 4 seasons) is an insurance policy, much like how the team brought in Adam Moore last season. Hayes is defintely a defense-first catcher and was brought in so the Royals can avoid the awful mess they faced last spring when Sal Perez injured his knee. Purely a depth move here. As for Bourgeois, Jeffress, and Hottovy, the Royals have 10 days to either release, trade, or place them on waivers. 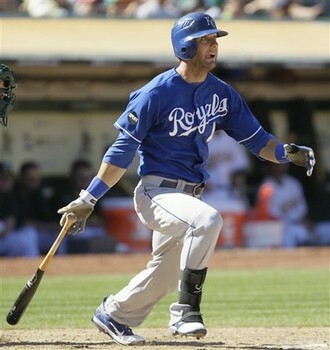 The team also reinstated Felipe Paulino and Danny Duffy from the 60-day DL, bringing the 40-man roster to capacity. 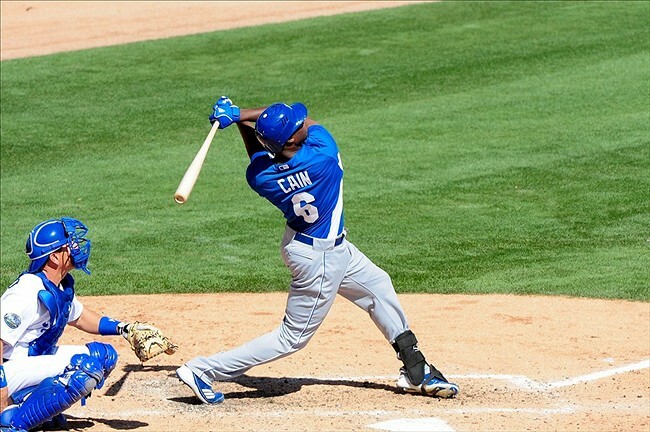 The Royals made a handful of roster moves after last night’s 8-2 victory over the Rays. After dominating at Triple-A (4-0, 1.07 ERA), the Royals opted to shake up their starting rotation by promoting LHP Evrett Teaford to Kansas City. In turn, Vin Mazzaro was shifted to the bullpen where he’ll serve as the team’s long reliever. This move has been in the works ever since the team’s starting rotation imploded during the Cardinals series where three starters (Chen, Mendoza, and Sanchez) combined to give up 17 runs in just 11 innings. Everett will get the start tonight against the Rays as the Royals go for the series sweep. Promoting Teaford required the team to make space on the 25-man roster. Keep reading, please. In order to make room on the team’s 25-man roster, the Royals opted to reduce it’s number of active catchers from three to two. With Salvador Perez returning from the DL this past weekend, one of Brayan Pena and Humerto Quintero was bound to get the axe sooner rather than later. Given Pena’s ability to hit (he’s a switch-hitter), his improved defense, eternal optimism, and his history with the team’s pitching staff, the Royals opted to DFA Humberto Quintero. Quintero, who is known for his catch-and-throw abilities, hit a mere .232/.257/.341 with 13 XBH (12 doubles, 1 HR) and had 19 RBI for the Royals in his 43 starts. His biggest weakness was his tendency of striking out (28 K, 4 BB). Pena was faring slightly better in his 40 games, hitting .268/.295/.358 with 9 XBH (8 doubles, 1 HR) and 13 RBI. Being DFA’d (Designated for Assigment), means the team has removed him from the 40-man roster. Once removed from the 40-man, the team can do one of three things in a 10-day window with the afformentioned player: place the player on waivers (meaning any team can claim him – but only within the first 7 days of the 10-day period), trade him, or release him if he clears waivers. I have no doubt that at least one team searching for catching depth at the big league level will take a flyer on Quintero. Happy trails, Q. In their final move of the day, the Royals recalled OF/2B Jason Bourgeois from Omaha and sent left-handed reliever Francisely Bueno back to Omaha. Bourgeois broke spring training with the Royals, seeing time in seven games for the Royals (.214/.267/.286, 1 double, 1 SB) before being sent down to Omaha. This is clearly just a depth move, given Jason’s ability to fill-in at multiple positions and has the ability to hit lefties well. 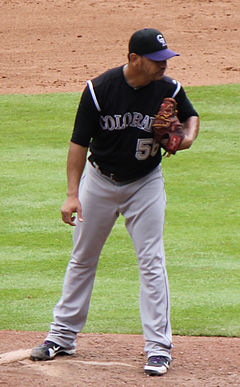 Francisely Bueno was called up back on June 23 after the Royals DFA’d Roman Colon. The lefty worked 2 innings in 2 appearances for the Royals, giving up 3 hits and 1 run. Dayton Moore’s search for a catcher to tandem with Brayan Pena to start the season has ended today. The Royals acquired veterans Humberto Quintero (catcher) and Jason Bourgeois (OF) from the Houston Astros in exchange for left-handed relief prospect Kevin Chapman and a PTBNL. In order to make roster space for both players, the Royals moved Perez and Pina to the 60-day DL. The Royals have been on the prowl lately, looking for someone to help the team out while both Salvador Perez and Manny Pina recover from their respective injuries. Dayton was seeking a veteran catcher with a good glove and a quick catch-release. It was said that he was considering the likes of Ivan Rodriguez, Corky Miller, and Wil Nieves. But all along, Humberto Quintero apparently was his #1 target. The addition of Quintero fills the team’s most glaring and obvious hole. Jason Bourgeois is an interesting piece in this trade, as the Royals already have a guy with a similar skill set in Jarrod Dyson. But the one advantage that Bourgeois has over Dyson is his versatility. 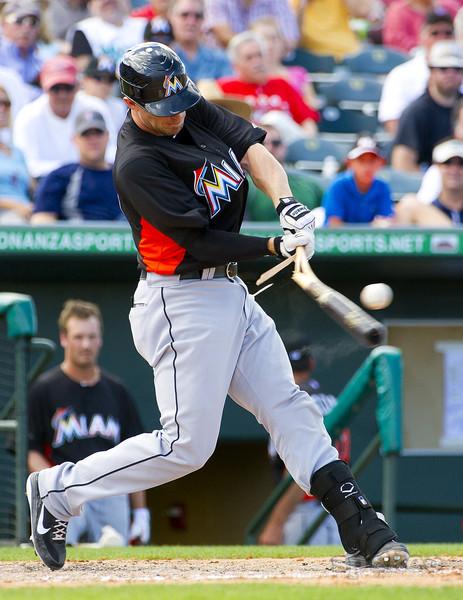 He is capable of playing all 3 OF positions, as well as 2B and possibly 3B. Just as his numbers show you, Quintero is clearly a defense-first catcher, which is exactly what Dayton Moore was wanting to team up with offense-first catcher Brayan Pena. At 32, he’s got 9 big league seasons under his belt, so he’ll bring along with him a veteran presence that I’m sure the pitching staff will greatly appreciate. He’s never been a full-time catcher (career high 88 games played in 2010), so he’s already very familiar with the role he’ll be filling in KC. Dayton went as far to say that Quintero may stay on board even after Sal Perez returns from his injury, possibly hinting at the fate of Brayan Pena. Jason Bourgeois has spent the past 2 seasons as a part-time/fill-in player for Houston, but managed to play in 93 games in 2011 due to the Michael Bourn trade. He made the most of his opportunity, hitting .294/.323/.357 and had 31 SB (6 CS), while making appearances at all 3 OF positions and 2B. While he’s not as fast as Dyson (and who is…), Bourgeois offers up the defensive versatility that could ultimately be the deciding factor this Spring when it comes down to the two for one roster spot. 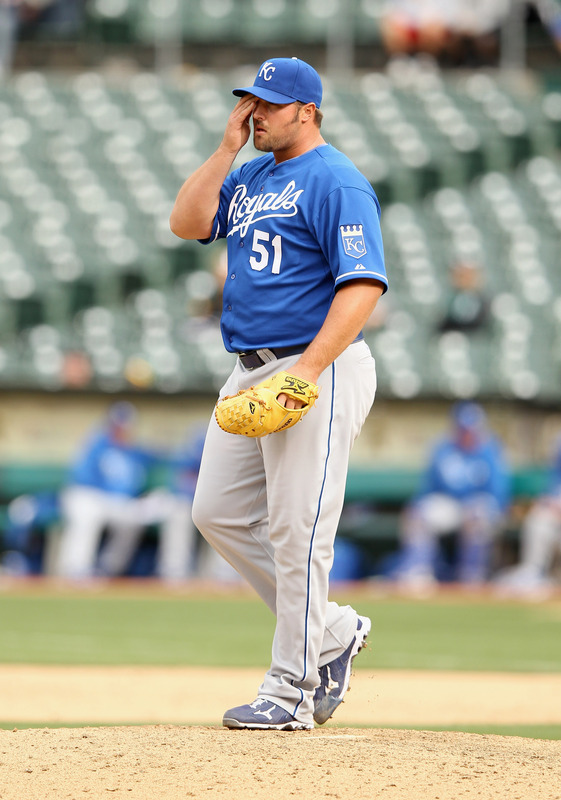 Kevin Chapman is a 24-year old LHP reliever who was the Royals’ 4th round pick out of the U of Florida in 2010. He has a career ERA over 5 in 2 minor league seasons. The PTNBL is unknown at this time, although it won’t be much more than a mid-to-lower level prospect. According to Ken Rosenthal of FOX Sports, Royals will continue to seek catching help – most likely for depth at the Triple A level.